Neat things in Nintendo's latest mobile venture. 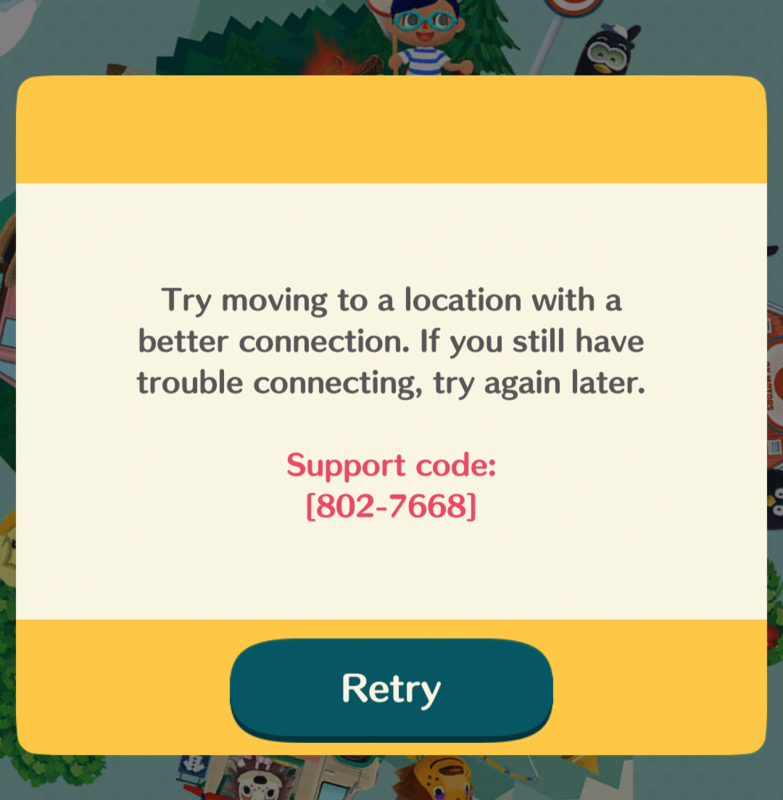 As the latest mobile phone release from Nintendo, Animal Crossing: Pocket Camp is as charming as you’d expect, but isn’t without it’s fair share of problems and unsavoury free-to-play mechanics. In between these, however, Pocket Camp includes some pretty nifty mechanics to encourage a certain playstyle or try something different with the free-to-play system. Here are the features we found most intriguing. Looking to up that Bell count quickly? Check out our tips and tricks for Animal Crossing: Pocket Camp. In order to get Animal Crossing Pocket Camp’s range of friendly animals to visit your camp, you’ll need to meet their standards when it comes to furniture and attractions. Some animals like Sporty equipment, others prefer it natural. With limited space on offer, you’ll have to change up your design depending on who you’re looking to entice. While this primarily sets goals to aim for, saving up the required money or crafting materials, it also helps coax players into changing up their scenery. It’s easy to get overly attached to the first layout you choose, limiting your experience with the game. By encouraging you to change things up, Nintendo guide you toward the right mindset for getting the most out of the game. If you’re a collector of fine wares, Pocket Camp will let you put your goods on the market, offering them up to other players for purchase. These can be seen by anyone who runs into you throughout the world, encouraging you to interact with player around the world, check out their marketplace and view their campsite. It’s also a brilliant way to help out your friends. If someone you know is on the lookout for an item you’ve found, you can pop it up on your marketplace for a cheap price to hand it over. Nifty. Shovelstrike Quarry is an interesting take on the free-to-play model. 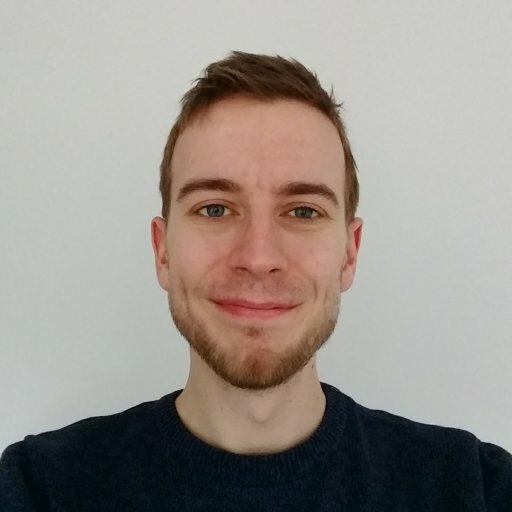 Most free to play games will limit player’s progress through time restraints, offering the option to pay real money to get the ball rolling faster. Animal Crossing Pocket Camp is no exception to this, offering Leaf Tickets to speed up the crafting time for new gear, compost to enhance fruit recovery — the list goes on. It’s unquestionably Pocket Camp’s worst aspect, and the game makes sure to remind you of these features where it can in dialogue and menus. Shovelstrike Quarry, however, offers a different approach to its microtransaction allure. You can pay a quick 20 Leaf Tickets to head there directly, but it’s also possible to enter with the assistance of your friends. By requesting (and receiving) help from five friends, you can enter Shovelstrike for free and earn some Bells. This encourages you and your friends to play the game together, helping each other out to earn Bells, but it also works for strangers too. Every player I’ve run into randomly has been quick to accept a friend request, and it’s reasons like this can encourage players to do so. It’s just a shame that the rewards of entering Shovelstrike aren’t all that great. The zone is an unusual and restrictive way to include the new mechanic, and it feels more than a bit awkward to be told early on that you can’t explore all the areas because you haven’t got any friends. Still, it’s nice to see Nintendo trying something a bit different for free to play, and feels like it could work well if applied to a different area. The faces of pure evil. No, not the gameplay ones, those cheeky birds at the garage. 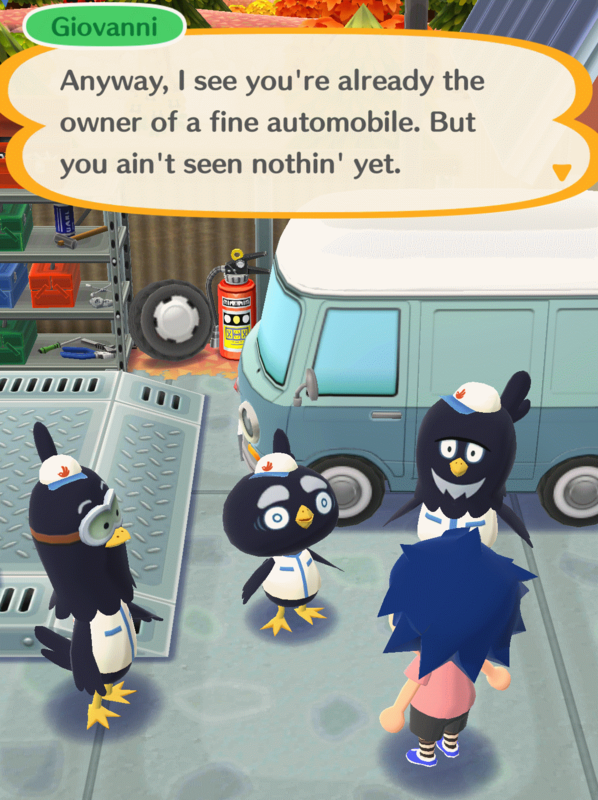 Just when you think you’ve escaped Tom Nook and the main series’ endless debt, Giovanni, Beppe and Carlo lure you into their net. Why, what a nice camper van you’ve got there! How about we give that a new lick of paint, completely free of charge of course. Wow, these guys sure seem nice! And they can expand your car space too, why not take a look? And before you know it, they’ve already got you. Just like the perfect scam artists they are, these conniving blackbirds get you to agree to an upgrade without laying down any details of the deal. Only after they finish do they take you back down to realty. Oh, that minor expansion? That’ll be 10,00 bells, please. Feathered they may be, but you’ll be the one left feeling bird brained. Animal Crossing is all about taking life at a sedentary pace. We can’t think of a better way to encourage players to relax a bit than to repeatedly bump them from the game due to poor connection issues. While you’re racing between zones trying to catch the fish that cool bird-guy was after, a quick connection interrupted notice makes for the perfect time out, reminding you to go and make that cup of tea you were planning to an hour ago. Expect to see a lot of this for now.